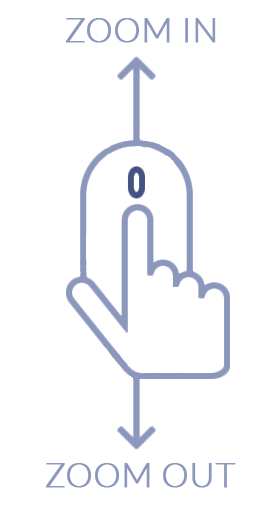 Total Carat Weight: 2.56 ct. 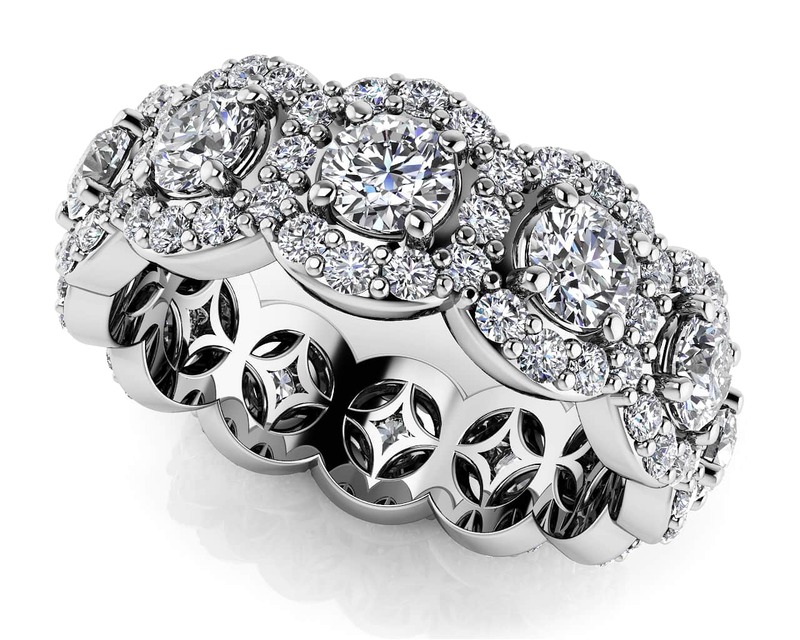 This gorgeous eternity ring features beautiful round diamonds that are surrounded by smaller round diamonds. 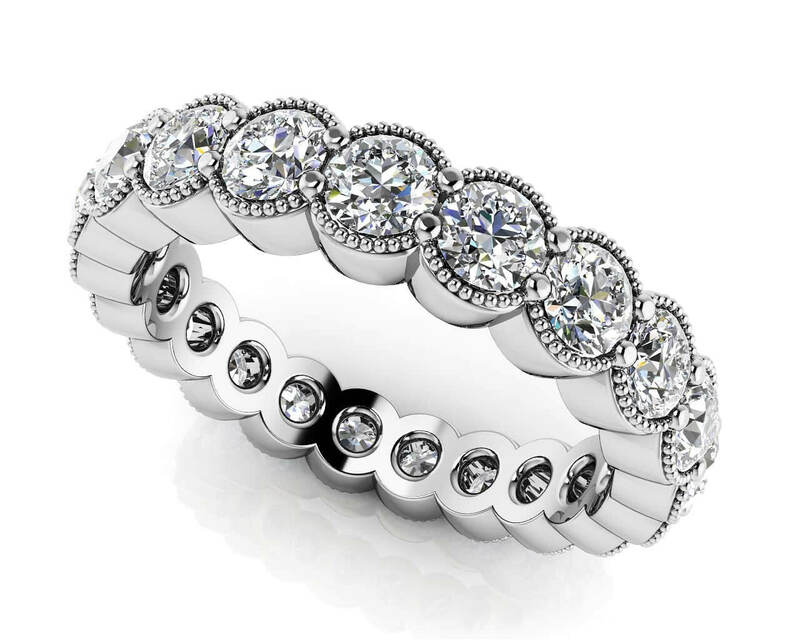 The diamond details in this eternity ring will surely make a lasting impression. 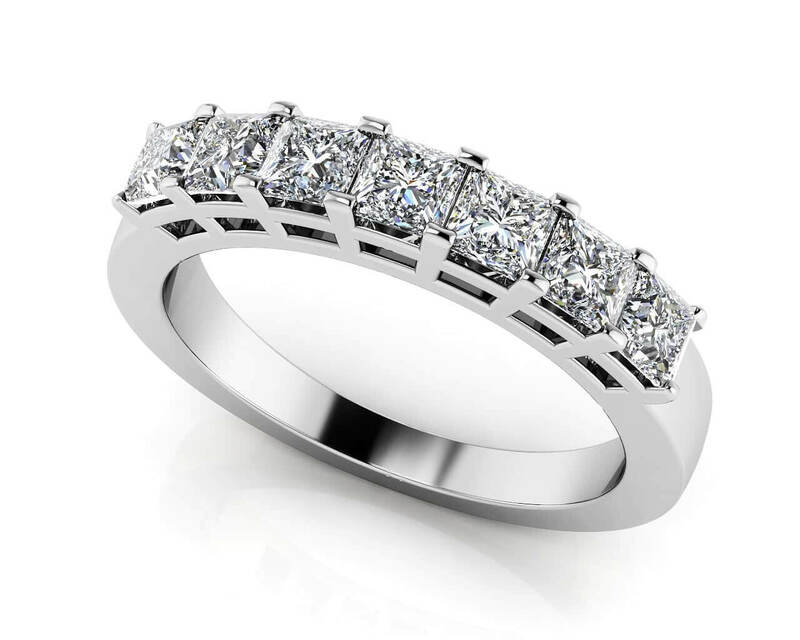 Customize your eternity ring by engraving a love message and by selecting the metal type, diamond quality and ring size to fit your needs. Model Carat Weight: 2.56 ct. Effective Carat Weight: 2.56 ct.
Stone Carat Weight: 108X0.010 ct., 12X0.123 ct.